MARKET IN BLOOM: Gayndah Development Association member Gerry Trusz and president Steve Hickey with the plant which was raffled at the market. 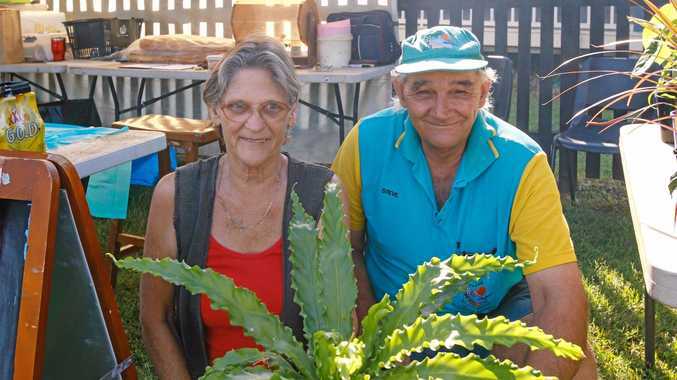 GAYNDAH Development Association Incorporated celebrated the 20-year anniversary of its markets on Sunday. The markets are a highlight for many locals and offer a variety of stalls selling goods such as fruit, plants and handicrafts. 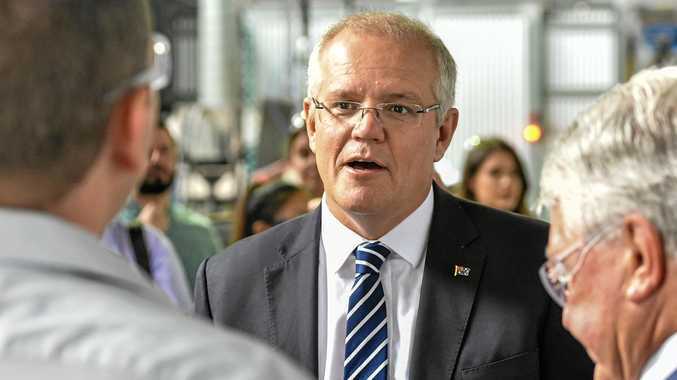 Gayndah Development Association president Steve Hickey said the markets had featured a broad range of products over the years. "We have the market in Jaycees Park on the first Sunday of each month, except January,” Mr Hickey said. Mr Hickey said community groups, including the Girl Guides, Scouts, Gayndah Art Gallery and the Binjour Bowls Club had benefited from money raised. "All the money we raise goes back into the community,” he said. The Gayndah Development Association is also responsible for a number of the seats in the main street which shoppers can rest on. The 20th birthday market was held last Sunday. Singer Bruce McGilvery entertained the crowd at the milestone market and the official birthday cake was cut and shared out among stallholders and market-goers. Mr Hickey said the markets were enjoyed by many and 20 years was an exciting milestone to have achieved thanks to the efforts of many members and past presidents. "I hope we keep giving Gayndah a good market for many years to come,” he said.